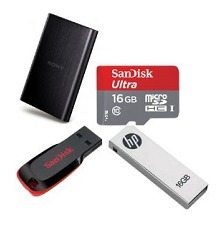 Amazon offering upto 60% off on Pen Drives, Memory Cards & Hard disks. Note:- Shipping Rs. 40 extra on order below Rs. 499.